This listing includes the stroller blanket and matching bib. Perfect baby shower gift for that special mommy. This luxurious minky blanket has been finished with a fuchsia satin ruffle. This has zebra on top and fucshia minky dot on the bottom. 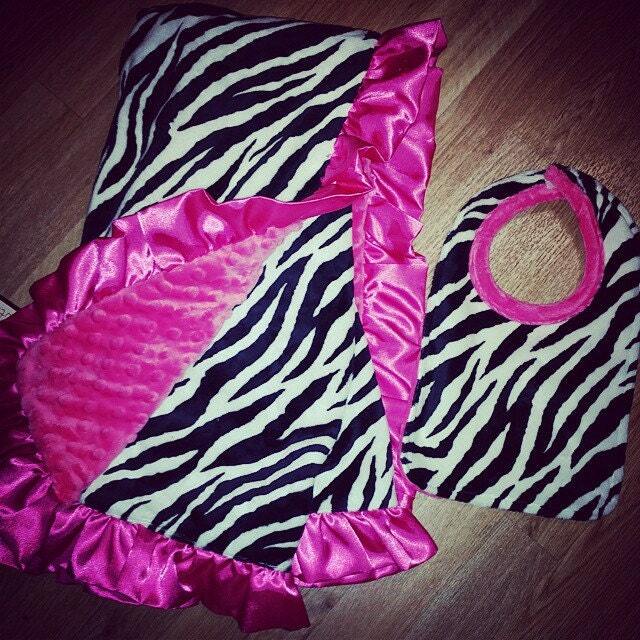 Bib is minky zebra on the front, and fuchsia minky dot on the reverse. Minky is a wonderful material that is very absorbent and as a mom myself, I love to use as a bib.